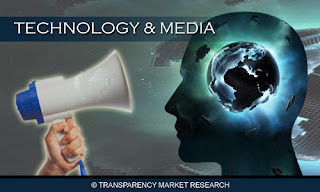 TransparencyMarketResearch includes new market research report " Global Mobile Applications (Free, Paid & Ad Supported) Market By Stores, Category, Platform, Brands And Stakeholders (2012 - 2017)" to its huge collection of research reports.With world’s major brands recognizing the need of their presence in at least one of the top applications stores and the average mobile application per brand rising over 25 (for top 100 brands, 250 in case of media companies globally); the mobile applications market has took new role in defining the marketing strategy of businesses. 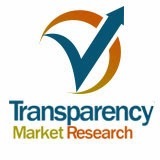 This has opened up new horizons for already booming mobile applications market and provides faster acceleration for the market. Though these global brands do not look to make money directly with apps; however, the apps are adding up their brand equity. Consumer preferences differ with country, age group, occupation, level of income etc. that makes it difficult for publisher to keep leadership in the app category. Hence, publishers have adopted the strategy of “publish locally” to address the local preference parity. Despite all adversities & declining average price, Games remain the largest mobile applications category by publication and download (revenue increased 72% year-over-year) followed by social and personalization application segment. Apple substantially leads the platform as well as store front market and expected to remain so for next five years. U.S., U.K., South Korea and Japan lead the market for mobile app downloads and revenue.